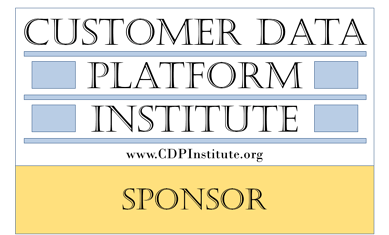 We are pleased to announce that Intent HQ is now an official sponsor of the Customer Data Platform Institute (‘CDP Institute’). Supporting the CDP Institute’s objective to educate marketers and technologists about customer data management, Intent HQ joins more than a dozen selected CDP solutions as a sponsor. Founded by David Raab, the CDP Institute reports on issues, methods and technology related to Customer Data Management, with a focus in the Customer Data Platform industry. Customer Data Platform in this instance is defined as a “packaged software that maintains a unified, persistent customer database which is accessible to external systems”. We look forward to joining this community of industry leaders and sharing insights on how to improve customer experience as well as expertly managing customer data. Hear more from our CEO on ‘Realising The Extraordinary Latent Value In Your Data Assets’.